When it comes to comics, Batman and Superman seem to reign supreme thanks to DC, but the heroes shouldn’t get comfy just yet. Monkey D. Luffy is gunning for the superheroes, and the Straw Hat Pirate is poised to take down Batman soon enough. Earlier today, One Piece fans learned how close the franchise is to outselling Batman when it comes to overall comic sales. Hiroyuki Nakano, the editor-in-chief of Weekly Shonen Jump, confirmed One Piece has now sold more than 430 million copies in print around the world (via ANN). When you break down the manga’s current numbers, about 360 million copies of One Piece have been sold in Japan. 70 million or so have been sold outside of the country. Batman still has a lead on One Piece, but fans expect the gap to close rather quickly. Right now, the DC icon has sold 460 million copies worldwide across all its authors. One Piece still has a ways to go before it can touch Superman’s 600+ million copies, but Batman is definitely in Luffy’s gaze. 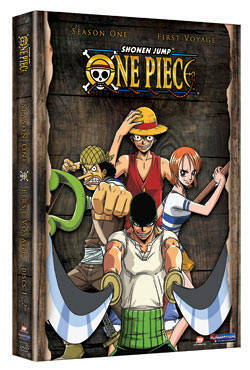 Back in April, it was announced that One Piece had sold 416 million copies worldwide during a press event. In six months, the manga managed to sell another 14 million copies; If One Piece keeps up the pace, the series could outsell Batman in just over a year and start after Superman. Given One Piece's lengthy tenure, it is no surprise the series has managed to sell so well. The manga began back in 1997 and has published over 880 chapters. The series is still an on-going one, and it has set some world records in the past. Back in 2015, One Piece won the designation of being the the comic with “the most copies published” of a series written by a single author. If you are not familiar with One Piece, then you clearly have a bit to catch up on. The series was created by Eiichiro Oda and has since become one of Japan's most iconic franchises ever created. The story follows a boy named Monkey D. Luffy as he embarks on a journey to become the King of the Pirates, but his Straw Hat Pirate family finds itself faced with some impossible challenges along the way. Luckily, the captain isn't one to simply give up on his dreams when the waves get rocky.